Enjoy a memorable tasting experience in the heart of wine country. Strewn offers two enhanced tasting experience in our Heritage Room. A 40-minute Signature Seated Tasting Experience offered @ 12 noon and 3 pm. Our sommelier or a senior wine educator will lead you through a tasting of four wines which showcase Strewn's commitment tto the Niagara terroir, varietal nuances and vintage variations. Includes cheese & bread sticks. $25 per person. A 60-minute Portfolio Tasting Experience offered @ 1:15 pm and 4 pm Tuesday through Friday. The Portfolio Tasting of six wines is presentedby our Estate Sommelier in two flights with cheese & gourmet crackers between flights. Specifically for wine enthusiasts who wish to explore a range of Strewn wines by varietal or style. $35 per person. Our main Tasting Room is open from 10 am to 6 pm - final tastings begin at 5:30 pm. Reservations are not required for stand-up tastings at the Main Tasting Bar. 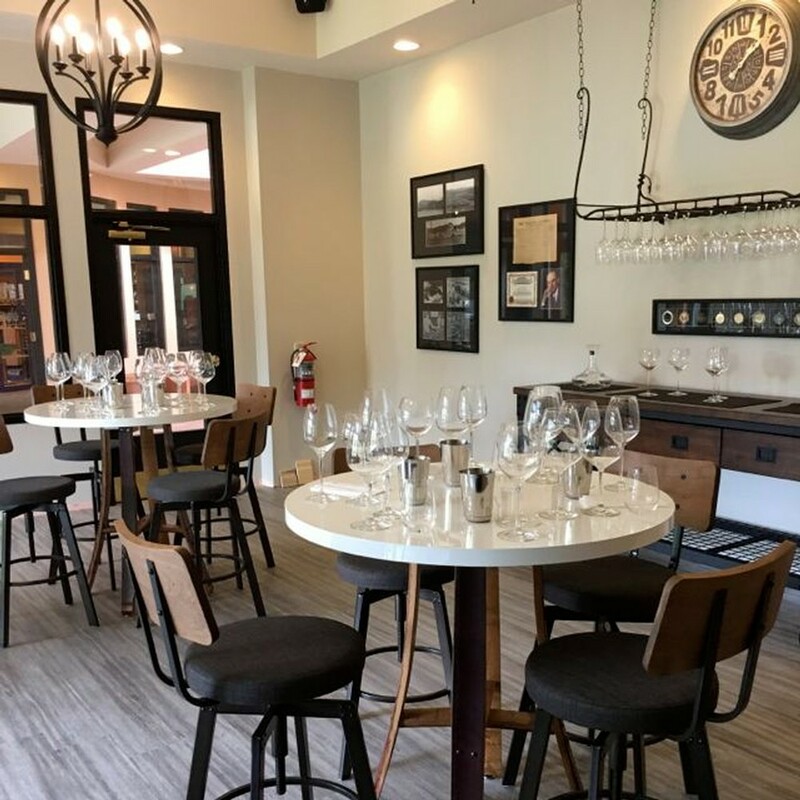 Enjoy a three-wine tasting for $10 and the tasting fee is waived with a $25 purchase. To experience our top tier wines, choose the Terroir Tasting Bar (three wines for $15; tasting fee waived with $45 purchase). Periodically we offer special themed tastings such as Wine & Chocolate, Pinciples of Wine & Cheese Pairing, and back vintage Library Tastings. If there is a current one, it will appear when you click on the Book a Tasting button.